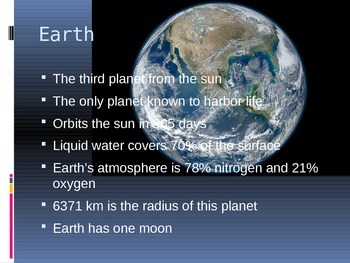 PowerPoint presentation on the planets and moons in our solar system. Includes definitions of both. 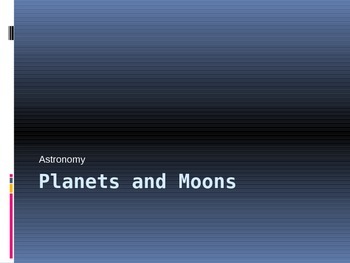 Uses photos from nasa.gov and a few tidbits of information for each of the planets and some of the more important moons. Includes the Asteroid belt.